C: Men are all alike. E: In what way ? C: They're always bugging us about something or other. E: Can you think of a specific example ? C: Well, my boyfriend made me come here. E: Your boyfriend made you come here ? C: He says I'm depressed much of the time. E: I am sorry to hear that you are depressed. E: Do you think coming here will help you not to be unhappy ? C: I need some help, that much seems certain. E: What would it mean to you if you got some help ? C: Perhaps I could learn to get along with my mother. E: Tell me more about your family. C: My mother takes care of me. E: Who else in your family takes care of you ? C: You are like my father in some ways. E: What resemblence do you see ? C: You are not very aggressive but I think you don't want me to notice that. E: What makes you think I am not very aggressive ? C: You don't argue with me. E: Why do you think I don't argue with you ? C: You are afraid of me. E: Does it please you to believe I am afraid of you ? C: My father is afraid of everybody. E: What else comes to your mind when you think of your father ? E: Does that have anything to do with the fact that your boyfriend made you come here ? That's right. In 1963 MIT invited me to be a guest professor, at first for just a year. It turned out to be, as you know, for decades. In the same year, 1963, we developed a time sharing system at the institute so that several people could use a computer simultaneously. Today that is taken for granted, back then it was new. Instead of using a computer indirectly with the punch cards that were normal back then, we could make direct contact to the computer with the help of a typewriter. Programs that answered questions were needed. My contribution was “Eliza,” a program that the user could converse with in “natural language,” in this case English. Project MAC began with a 6-week Summer Study in July and August 1963, exposing 57 visiting researchers from universities, government, and industry to the MIT Computation Center's CTSS time-sharing system, which ran on an IBM 7090 modified with hardware RPQs. The Summer Study was suggested to Prof. Fano by Licklider. Several people from the Summer Study were recruited to permanent positions at Project MAC, such as Ted Glaser, Bob Graham, and Joe Weizenbaum. MAC senior staff visited computer hardware vendors in 1963 and 1964, and the Multics specifications were developed and sent out to bid. From fall 1963 until April 1964 four of us (Corbató, Edward L. Glaser, Robert Graham and I (dennis)) visited the principal main-frame computer vendors (IBM, RCA, Sperry/Rand, Burroughs, GE, Philco, CDC, Cray -- known in those days as "Snow White and the Seven Dwarfs") to see which of them had the ideas and resources to work with Project MAC to build hardware for the Multics system. When we visited GE in Phoenix, met John Couleur and learned about the GE-635, we were very much impressed. That led to the selection of GE (much to the chagrin of IBM, who desperately attempted to change our decision) and the collaboration of John Couleur with Ted Glaser to specify the GE 645 system for Multics. When it came time to select a vendor for the computer that would support the new OS, the folklore is that IBM pitched the machine that would become the 360/65. They were not interested in the MAC team's ideas on paging and segmentation. Professor Joseph Weizenbaum, then a lecturer at MIT, introduced the MAC team to former colleagues of his from General Electric Phoenix, who were receptive and enthusiastic, and proposed what became the GE-645. DEC also responded to the bid. The GE proposal was chosen in May 1964 (much to the surprise and chagrin of IBM) and the contract signed in August 1964. Baseball is a computer program that answers questions phrased in ordinary English about stored data. The program reads the question from punched cards. After the words and idioms are looked up in a dictionary, the phrase structure and other syntactic facts are determined for a content analysis, which lists attribute-value pairs specifying the information given and the information requested. The requested information is then extracted from the data matching the specifications, and any necessary processing is done. Finally, the answer is printed. The program's present context is baseball games; it answers such questions as "Where did each team play on July 7?" A list processing system in which each list cell contains both a forward and a backward link as well as a datum is described. This system is intended for imbedding in higher level languages capable of calling functions and subroutines coded in machine language. The presentation is in the form of FORTRAN programs depending on only a limited set of "primitive" machine language subroutines which are also defined. Finally, a set of field, particularly character, manipulation primitives are given to round out the system. "A Programming Language for Mechanical Translation"
STUDENT could correctly reply that the number of customers is 162 . To do this, STUDENT must be far more sophisticated than ELIZA; it must process and "understand" a great deal of the input, rather than just concentrate on a few key words. And it must compute a response, rather than just fill in blanks. However, we shall see that the STUDENT program uses little more than the pattern-matching techniques of ELIZA to translate the input into a set of algebraic equations. From there, it must know enough algebra to solve the equations, but that is not very difficult. It wasn’t that difficult. If you look at the structure of a therapeutic session, for example Carl Rogers’ approach, you will recognize that it works like a kind of echo. The patient says something about his or herself, and the therapist then — maybe not right away in the very next question, but then in one of the following questions — picks it up and uses it as his or her own contribution to the discussion. The trick is that “Eliza” assumes that the conversation partner will interpret the signals that it delivers according to the background of her or his own situation and needs — just as it happens in conversations between people. At this writing, the only serious ELIZA scripts which exist are some which cause ELIZA to respond roughly as would certain psychotherapists (Rogerians). ELIZA performs best when its human correspondent is initially instructed to "talk" to it, via the typewriter of course, just as one would to a psychiatrist. This mode of conversation was chosen because the psychiatric interview is one of the few examples of categorized dyadic natural language communication in which one of the participating pair is free to assume the pose of knowing almost nothing of the real world. If, for example, one were to tell a psychiatrist "I went for a long boat ride" and he responded "Tell me about boats", one would not assume that he knew nothing about boats, but that he had some purpose in so directing the subsequent conversation. It is important to note that this assumption is one made by the speaker. Whether it is realistic or not is art altogether separate question. In any case, it has a crucial psychological utility in that it serves the speaker to maintain his sense of being heard and understood. The Speaker further defends his impression (which even in real life may be illusory) by attributing to his conversation partner all sorts of background knowledge, insights and reasoning ability. But again, these are the speaker's contribution to the conversation. They manifest themselves inferentially in the interpretations he makes of the offered responses. From the purely technical programming point of view then, the psychiatric interview form of an ELIZA script has the advantage that it eliminates the need of storing explicit information about the real world. >assemble: How do you do. Please state your problem. assemble: Hi. What seems to be your problem ? post: How do you do. Please state your problem. <<< How do you do. Please state your problem. >>> Men are all alike. >assemble: In what way ? assemble: What resemblance do you see ? assemble: What does that similarity suggest to you ? assemble: What other connections do you see ? assemble: What do you suppose that resemblance means ? assemble: What is the connection, do you suppose ? assemble: Could there really be some connection ? post: In what way ? <<< In what way ? >>> They're always bugging us about something or other. >assemble: Can you think of a specific example ? assemble: What incident are you thinking of ? post: Can you think of a specific example ? <<< Can you think of a specific example ? >>> Well, my boyfriend made me come here. assemble: Lets discuss further why your (2). assemble: Earlier you said your (2). assemble: Does that have anything to do with the fact that your (2) ? PUSH: But your boyfriend made you come here . assemble: Why do you say your (2) ? assemble: Does that suggest anything else which belongs to you ? assemble: Is it important that your (2) ? post: Your boyfriend made you come here  ? <<< Your boyfriend made you come here  ? >>> He says I'm depressed much of the time. >assemble: I am sorry to hear that you are (3). assemble: Do you think that coming here will help you not to be (3) ? assemble: I'm sure it's not pleasant to be (3). assemble: Can you explain what made you (3) ? post: I am sorry to hear that you are depressed. <<< I am sorry to hear that you are depressed. assemble: I am sorry to hear that you are (3). >assemble: Do you think that coming here will help you not to be (3) ? post: Do you think that coming here will help you not to be unhappy ? <<< Do you think that coming here will help you not to be unhappy ? >>> I need some help, that much seems certain. >assemble: What would it mean to you if you got (3) ? assemble: Why do you want (3) ? assemble: Suppose you got (3) soon ? assemble: What if you never got (3) ? assemble: What would getting (3) mean to you ? assemble: What does wanting (3) have to do with this discussion ? post: What would it mean to you if you got some help  ? <<< What would it mean to you if you got some help  ? >>> Perhaps I could learn to get along with my mother. assemble: Let's discuss further why your (2). PUSH: But your mother . >assemble: Tell me more about your family. assemble: Who else in your family (4) ? assemble: What else comes to mind when you think of your (3) ? post: Tell me more about your family. <<< Tell me more about your family. >>> My mother takes care of me. >assemble: Earlier you said your (2). PUSH: Earlier you said your mother takes care of you . assemble: Tell me more about your family. >assemble: Who else in your family (4) ? post: Who else in your family takes care of you  ? <<< Who else in your family takes care of you  ? >assemble: Let's discuss further why your (2). PUSH: Let's discuss further why your father . >>> You are like my father in some ways. assemble: In what way ? >assemble: What resemblance do you see ? post: What resemblance do you see ? <<< What resemblance do you see ? >>> You are not very aggressive but I think you don't want me to notice that. >assemble: What makes you think I am (2) ? assemble: Does it please you to believe I am (2) ? assemble: Do you sometimes wish you were (2) ? assemble: Perhaps you would like to be (2). post: What makes you think I am not very aggressive but you think I don't want you to notice that  ? <<< What makes you think I am not very aggressive but you think I don't want you to notice that  ? >>> You don't argue with me. >assemble: Why do you think I (2) you ? assemble: You like to think I (2) you -- don't you ? assemble: What makes you think I (2) you ? assemble: Really, I (2) you ? assemble: Do you wish to believe I (2) you ? assemble: Suppose I did (2) you -- what would that mean ? assemble: Does someone else believe I (2) you ? post: Why do you think I don't argue with you ? <<< Why do you think I don't argue with you ? >>> You are afraid of me. assemble: What makes you think I am (2) ? >assemble: Does it please you to believe I am (2) ? post: Does it please you to believe I am afraid of you  ? <<< Does it please you to believe I am afraid of you  ? >>> My father is afraid of everybody. >assemble: Lets discuss further why your (2). PUSH: Lets discuss further why your father is afraid of everybody . >assemble: What else comes to mind when you think of your (3) ? post: What else comes to mind when you think of your father ? <<< What else comes to mind when you think of your father ? POP: But your boyfriend made you come here . <<< But your boyfriend made you come here . An important consequence of the editing facility built into ELIZA is that a given ELIZA script need not start out to be a large, full-blown scenario. On the contrary, it should begin as a quite modest set of keywords and transformation rules and permitted to be grown and molded as experience with it builds up. This appears to be the best way to use a truly interactive man-machine facility -- i.e., not as a device for rapidly debugging a code representing a fully thought out solution to a problem, but rather as an aid for the exploration of problem solving strategies. This rendition of ELIZA is a complete and faithful implementation of the program described by Weizenbaum. The script language has been reformatted for clarity, but is unchanged in its content. How do you do. Please state your problem. >> Men are all alike. >> They're always bugging us about something or other. Can you think of a specific example ? >> Well, my boyfriend made me come here. Your boyfriend made you come here  ? 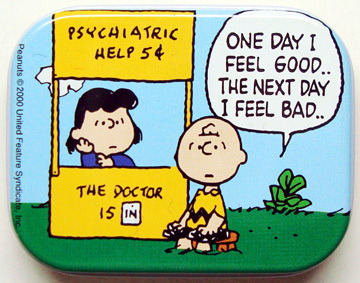 >> He says I'm depressed much of the time. I am sorry to hear that you are depressed. Do you think that coming here will help you not to be unhappy ? >> I need some help, that much seems certain. What would it mean to you if you got some help  ? >> Perhaps I could learn to get along with my mother. >> My mother takes care of me. Who else in your family takes care of you  ? >> You are like my father in some ways. What resemblence do you see ? >> You are not very aggressive but I think you don't want me to notice that. What makes you think I am not very aggressive but you think I don't want you to notice that  ? >> You don't argue with me. Why do you think I don't argue with you ? >> You are afraid of me. Does it please you to believe I am afraid of you  ? >> My father is afraid of everybody. What else comes to mind when you think of your father ? Earlier you said your boyfriend made you come here . initial: How do you do. Please tell me your problem. final: Goodbye. Thank you for talking to me. reasmb: How do you do. Please state your problem. reasmb: Hi. What seems to be your problem ? reasmb: I'm not sure I understand you fully. reasmb: What does that suggest to you ? reasmb: Do you feel strongly about discussing such things ? reasmb: Have you ever fantasized (2) while you were awake ? reasmb: Have you ever dreamed (2) before ? reasmb: What does that dream suggest to you ? reasmb: Do you dream often ? reasmb: What persons appear in your dreams ? reasmb: Do you believe that dreams have something to do with your problems ? reasmb: Lets discuss further why your (2). reasmb: Earlier you said your (2). reasmb: Does that have anything to do with the fact that your (2) ? It is said that to explain is to explain away. This maxim is nowhere so well fulfilled as in the area of computer programming, especially in what is called heuristic programming and artificial intelligence. For in those realms machines are made to behave in wondrous ways, often sufficient to dazzle even the most experienced observer. But once a particular program is unmasked, once its inner workings are explained in language sufficiently plain to induce understanding, its magic crumbles away; it stands revealed as a mere collection of procedures, each quite comprehensible. The observer says to himself "I could have written that". With that thought he moves the program in question from the shelf marked "intelligent" to that reserved for curios, fit to be discussed only with people less enlightened that he. At this writing, the only serious ELIZA scripts which exist are some which cause ELIZA to respond roughly as would certain psychotherapists (Rogerians). Like the Eliza of Pygmalion fame, it can be made to appear even more civilized, the relation of appearance to reality, however, remaining in the domain of the playwright. Communications of the ACM Volume 9, Number 1 (January 1966): 36-35. Bernie writes: "I *never* saw any of the SLIP code and knew nothing about it. I wrote Doctor *completely* working just from the CACM article! In fact, if the SLIP code actually surfaced, it'd be interesting to see how different/similar ours were, since I [really] never saw any of Weizenbaum's code. Truth is that I did Doctor as a learning hack. I knew a little Lisp from a course at MIT, but I figured that the best way to really "get" Lisp was to write something real. I had just joined the ACM [I started at BBN in the fall of '65] and I think Weizenbaum's Eliza article just happened to be in the very first copy of Communications that I received." E: CAN YOU THINK OF A SPECIFIC EXAMPLE? ELIZA performs best when its human correspondent is initially instructed to "talk" to it, via the typewriter of course, just as one would to a psychiatrist. This mode of conversation was chosen because the psychiatric interview is one of the few examples of categorized dyadic natural language communication in which one of the participating pair is free to assume the pose of knowing almost nothing of the real world. It is important to note that this assumption is one made by the speaker. Whether it is realistic or not is art altogether separate question. In any case, it has a crucial psychological utility in that it serves the speaker to maintain his sense of being heard and understood. The Speaker further defends his impression (which even in real life may be illusory) by attributing to his conversation partner all sorts of background knowledge, insights and reasoning ability. But again, these are the speaker's contribution to the conversation. From the purely technical programming point of view then, the psychiatric interview form of an ELIZA script has the advantage that it eliminates the need of storing explicit information about the real world.